Q: What is a microchip? A: A microchip is a small, electronic chip enclosed in a glass cylinder that is about the same size as a grain of rice. The microchip itself does not have a battery—it is activated by a scanner that is passed over the area, and the radiowaves put out by the scanner activate the chip. The chip transmits the identification number to the scanner, which displays the number on the screen. Q: How is a microchip implanted into an animal? Is it painful? Does it require surgery or anesthesia? A: It is injected under the skin using a hypodermic needle. It is no more painful than a typical injection, although the needle is slightly larger than those used for injection. No surgery or anesthesia is required—a microchip can be implanted during a routine veterinary office visit. If your pet is already under anesthesia for a procedure, such as neutering or spaying, the microchip can often be implanted while they're still under anesthesia. Q: What kind of information is contained in the microchip? Is there a tracking device in it? Will it store my pet's medical information? A: The microchips presently used in pets only contain identification numbers. No, the microchip cannot track your animal if it gets lost. Although the present technology microchip itself does not contain your pet's medical information, some microchip registration databases will allow you to store that information in the database for quick reference. Some microchips used in research laboratories and for microchipping some livestock and horses also transmit information about the animal's body temperature. Q: What do they mean by "microchip frequency?" A: The frequency of a microchip actually refers to the frequency of the radiowave given off by the scanner that activates and reads the microchip. Examples of microchip frequencies used in the U.S. include 125 kiloHertz (kHz), 128 kHz, and 134.2 kHz. Q: I've heard about something called "ISO standard." What does that mean? A: The International Standards Organization, or ISO, has approved and recommended a global standard for microchips. The global standard is intended to create an identification system that is consistent worldwide. For example, if a dog was implanted with an ISO standard microchip in the U.S. travels to Europe with its owners and becomes lost, the ISO standard scanners in Europe would be able to read the dog's microchip. If the dog was implanted with a non-ISO microchip and the ISO scanner was not forward- and backward-reading (universal), the dog's microchip might not be detected or be read by the scanner. The ISO standard frequency is 134.2 kHz. Q: What are universal (forward- and backward-reading) scanners? How do they differ from other scanners? A: Forward-reading scanners only detect 134.2 kHz (ISO standard) microchips, but will not detect 125 kHz or 128 kHz (non-ISO standard) microchips. Universal scanners, also called forward- and backward-reading scanners, detect all microchip frequencies. The main advantage of universal scanners is the improved chances of detecting and reading a microchip, regardless of the frequency. Q: How does a microchip help reunite a lost animal with its owner? A: When an animal is found and taken to a shelter or veterinary clinic, one of the first things they do is scan the animal for a microchip. If they find a microchip, and if the microchip registry has accurate information, they can quickly find the animal's owner. Q: Will a microchip really make it more likely for me to get my pet back if it is lost? A: Definitely! A study of more than 7,700 stray animals at animal shelters showed that dogs without microchips were returned to their owners 21.9% of the time, whereas microchipped dogs were returned to their owners 52.2% of the time. Cats without microchips were reunited with their owners only 1.8% of the time, whereas microchipped cats went back home 38.5% of the time. (Lord et al,JAVMA, July 15, 2009) For microchipped animals that weren't returned to their owners, most of the time it was due to incorrect owner information (or no owner information) in the microchip registry database – so don't forget to register and keep your information updated. Q: Does a microchip replace identification tags and rabies tags? A: Absolutely not. Microchips are great for permanent identification that is tamper-proof, but nothing replaces a collar with up-to-date identification tags. Your pet's rabies tag should always be on its collar, so people can quickly see that your pet has been vaccinated for this deadly disease. Rabies tag numbers also allow tracing of animals and identification of a lost animal's owner, but it can be hard to have a rabies number traced after veterinary clinics or county offices are closed for the day. The microchip databases are online or telephone-accessed databases, and are available 24/7/365. Q: I just adopted a pet from the animal shelter. Is it microchipped? How can I find out? A: If the shelter scanned the animal, they should be able to tell you if it is microchipped. Some shelters implant microchips into every animal they adopt out, so check with the shelter and find out your new pet's microchip number so you can get it registered in your name. Most veterinary clinics have microchip scanners, and your veterinarian can scan your new pet for a microchip when you take your new pet for its veterinary checkup. Microchips show up on radiographs (x-rays), so that's another way to look for one. Q: Why should I have my animals microchipped? A: The best reason to have your animals microchipped is the improved chance that you'll get your animal back if it becomes lost or stolen. Q: I want to get my animal(s) microchipped. Where do I go? A: To your veterinarian, of course! Most veterinary clinics keep microchips on hand; so, it is likely that your pet can be implanted with a microchip the same day as your appointment. Sometimes local shelters or businesses will host a microchipping event, too. Q: Why can't I just buy the microchip and implant it myself? A: It looks like a simple-enough procedure to implant a microchip – after all, it's just like giving an injection, right? Well, yes and no. Although it looks like a simple injection, it is very important that the microchip is implanted properly. Using too much force, placing the needle too deeply, or placing it in the wrong location can not only make it difficult to detect or read the microchip in the future, but it can also cause life-threatening problems. Microchips should really be implanted under supervision by a veterinarian, because veterinarians know where the microchips should be placed, know how to place them, and know how to recognize the signs of a problem and treat one if it occurs. Q: Once the microchip has been implanted, what do I do? Is there any sort of maintenance needed? A: There really is no maintenance required for microchips themselves, although you do need to keep your contact information up-to-date in the microchip registration database. If you notice any abnormalities at the site where the microchip was implanted, such as drainage (oozing) or swelling, contact your veterinarian. Ideally, the microchip should be scanned during your animal's yearly checkup to make sure that it is still in place and working as it should. Q: I heard about a dog that was euthanized by a shelter because his microchip wasn't detected by the shelter's scanner. How can I know that won't happen to my pet? A: Unfortunately, there was a case where a dog's ISO standard chip was not detected by the animal shelter's scanner (because it only read 125 kHz microchips), and the dog was euthanized after the usual holding period because they could not locate its owner. Although this was a very sad case, the good news is that this case helped bring national attention to the need for universal microchip scanners to prevent this from happening again. Much progress has been made, and the likelihood that this will happen again is very low. Q: Why are microchips sometimes not found? A: As with almost anything, it's not a foolproof system. Although it's very rare, microchips can fail and become unable to be detected by a scanner. Problems with the scanners are also not common, but can occur. Human error, such as improper scanning technique or incomplete scanning of an animal, can also lead to failure to detect a microchip. Some of the animal-related factors that can make it difficult to detect a microchip include the following: animals that won't stay still or struggle too much while being scanned; the presence of long, matted hair at or near the microchip implantation site; and a metal collar (or a collar with a lot of metal on it). All of these can interfere with the scanning and detection of the microchip. Q: My pet has two different frequency microchips implanted. Do I need to have one removed? Will they interfere with each other? Which microchip will be detected by the scanner? A: No, you do not need to have one of the microchips removed and no, they will not interfere with each other. The microchip detected by the scanner will depend on the scanner used – if it is a universal (forward- and backward-reading) scanner, it will probably detect each chip as it is passed over it. To detect the other chip, the scanner has to be reset and passed over the area where it is located. If it is a scanner that only reads one microchip frequency, it will only detect a microchip of that specific frequency and will not detect or read the other microchip. If you know your pet has more than one microchip implanted, make sure you keep the database information updated for each microchip. People don't routinely assume there's more than one microchip (because it is very uncommon), so they will try to find the owner based on the registry number of the microchip they detect. Q: My pet has a non-ISO standard, 125 kHz microchip implanted, and I want to have it implanted with an ISO standard, 134 kHz microchip. Can I do that? A: Sure you can. Both chips will function normally. If your pet is scanned with a scanner that only reads 125 kHz chips, only the 125 kHz chip will be detected. If your pet is scanned with a universal (forward- and backward-reading) scanner, it could detect one or both chips separately (see the question above this one for more information). Q: I'm relocating to a country that requires ISO chips, and my pet does not have an ISO chip or doesn't have a microchip at all. What do I need to do? A: Your pet will need to be implanted with an ISO microchip before it will be allowed into that country. But that's not the only thing you need to know: countries differ widely on their importation rules, including different regulations about required vaccinations and quarantine periods once the animal enters that country. If you do some research and preparation, your pet's relocation can go smoothly. For resources about international shipping of animals, go towww.avma.org/services/vprc/travel.asp. Alternatively, you can contact an experienced animal shipper who is well-versed in the processes and regulations affecting animal shipment. Q: I'm relocating to a country that requires ISO chips, and my pet has an ISO chip. What do I need to do? A: In general, your pet won't need another microchip to be allowed into that country; however, you should check on the destination country's animal importation regulations as you plan your relocation. That's not the only thing you need to know: countries differ widely on their importation rules, including different regulations about required vaccinations and quarantine periods once the animal enters that country. If you do some research and preparation, your pet's relocation can go smoothly. For resources about international shipping of animals, go towww.avma.org/services/vprc/travel.asp. Alternatively, you can contact an experienced animal shipper who is well-versed in the processes and regulations affecting animal shipment. Q: Why isn't it a requirement that all shelters and veterinary clinics use the same microchips and readers? Or, if there are different frequencies of microchips and each requires a separate scanner, why aren't they required to have one of each scanner so microchips are never missed? A: There is no federal or state regulation of microchip standards in the U.S., and different manufacturers are able to produce and patent different microchip technologies with different frequencies. Because of market competition, animal shelters and veterinary clinics are able to choose from several microchip manufacturers and scanners. Microchip scanners are relatively expensive, and it is often cost prohibitive keep one or more of each type of microchip scanner. This problem can be solved by the use of universal microchip scanners, which are becoming more readily available. In addition, the use of ISO standard microchips would be a good step in developing a consistent microchipping system in the U.S.
Q: When I have my pet microchipped, is there one central database that registers the information and makes it available to animal shelters and veterinary clinics in case my pet is lost or stolen? A: At this time, there is not a central database in the U.S. for registering microchips; each manufacturer maintains its own database (or has it managed by someone else). Because the ISO standards for identification codes have not been adopted in the U.S., the microchips must be registered with their individual registries. Fortunately, microchip scanners display the name of the microchip's manufacturer when the microchip is read. Therefore, the likelihood that an animal cannot be identified from its microchip number is very low—that is, unless your pet's microchip has not been registered or the information is not accurate. As of September 2009, there are two Internet-based search engines that allow users to enter a microchip code. The American Animal Hospital Association's Universal Pet Microchip Lookup Tool (www.petmicrochiplookup.org) provides a listing of the manufacturer with which the microchip's code is associated as well as if the chip information is found in participating registries. Chloe Standard's database (www.checkthechip.com) displays the manufacturer of that microchip. Neither database provides owner information for the microchip – the user must then contact the manufacturer/database associated with that microchip. Q: What are some of the problems associated with microchips? How common are they? A: The British Small Animal Veterinary Association (BSAVA) maintains a database of adverse reactions to microchips. Since the database was started in 1996, over 4 million animals have been microchipped and only 391 adverse reactions have been reported. Of these reactions, migration of the microchip from its original implantation site is the most common problem reported. Other problems, such as failure of the microchip, hair loss, infection, swelling, and tumor formation, were reported in much lower numbers. For a chart summarizing the BSAVA reports, read the AVMA's backgrounder on Microchipping of Animals. Q: I've heard a lot lately that microchips cause cancer. Do they? A: There have been reports that mice and rats developed cancer associated with implanted microchips. However, the majority of these mice and rats were being used for cancer studies when the tumors were found, and the rat and mice strains used in the studies are known to be more likely to develop cancer. Tumors associated with microchips in two dogs were reported, but in at least one of these dogs the tumor could not be directly linked to the microchip itself (and may have been caused by something else). For more details on the studies, read the AVMA's backgrounder on Microchipping of Animals. Q: I don't want my pet to get cancer. Should I have my pet's microchip removed? 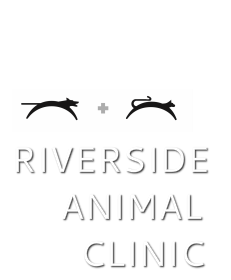 A: We do not recommend that you have your pet's microchip removed, for two reasons. First, based on our review of the studies, the risk that your animal will develop cancer due to its microchip is very, very low, and is far outweighed by the improved likelihood that you will get your animal back if it becomes lost. Second, although implanting a microchip is a very simple and quick procedure, removing one is more involved and may require general anesthesia and surgery. Q: Do the benefits of microchipping outweigh the risks? I know that you said I have a better chance of being reunited with my lost or stolen pet if it is microchipped, but I'm worried there is still a chance that the veterinary clinic or shelter won't be able to read the chip or my pet will have a reaction. A: The benefits of microchipping animals definitely outweigh the risks. Although we can't guarantee that a shelter or veterinary clinic will always be able to read every microchip, the risk that this will happen is very low, and getting even lower. Animal shelters and veterinary clinics are very aware of the concerns about missing an implanted microchip, and take extra measures to determine if a microchip is present before a decision is made to euthanize or adopt out the animal. Universal scanners are becoming more available, and solve the challenge of detecting different microchip frequencies. This information has been prepared as a service by the American Veterinary Medical Association. Monday-Friday 9:00 a.m.- 5:00 p.m. Saturday 9:00 a.m.- 12:00 p.m.